Happy Sunday lovelies, this has been the weekend I’ve been getting my Christmas groove on [oh yeah!]. So after putting up the Christmas tree whilst watching Christmas movies and persuading the husband to stop being a Christmas Grinch [note to hubby. we are doing Christmas] my thoughts naturally turned to Christmas and Winter weddings. With the merest hint of a Christmas theme, this gorgeous board celebrates Christmas in the simplest of ways. 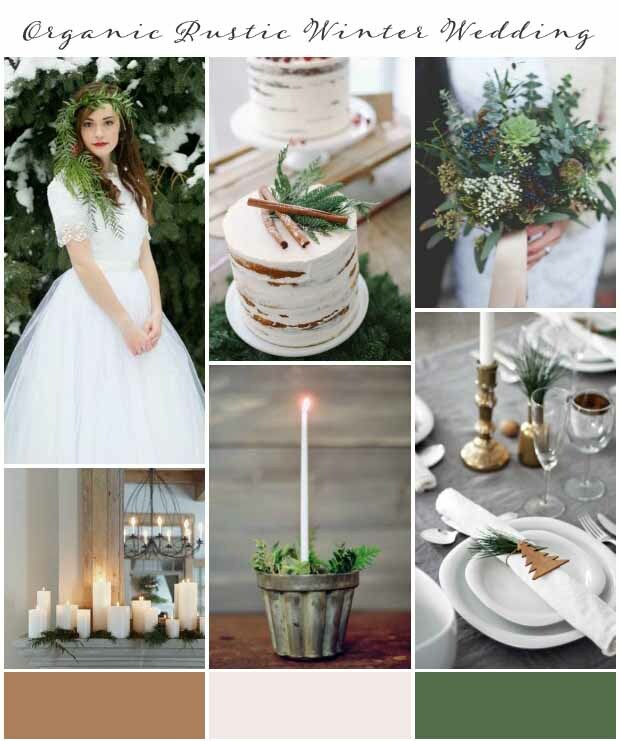 Taking inspiration from organic and rustic materials whilst keeping the colour palette full of earthy greens, browns, and neutral creams, elegant champagnes and crisp sugar whites! Isn’t it so elegant and simple? 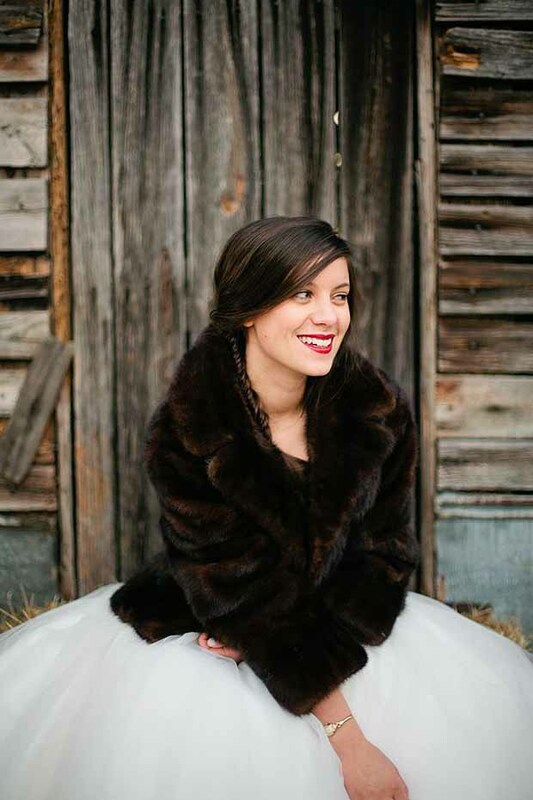 I love it’s organic and rustic winter wedding vibe! 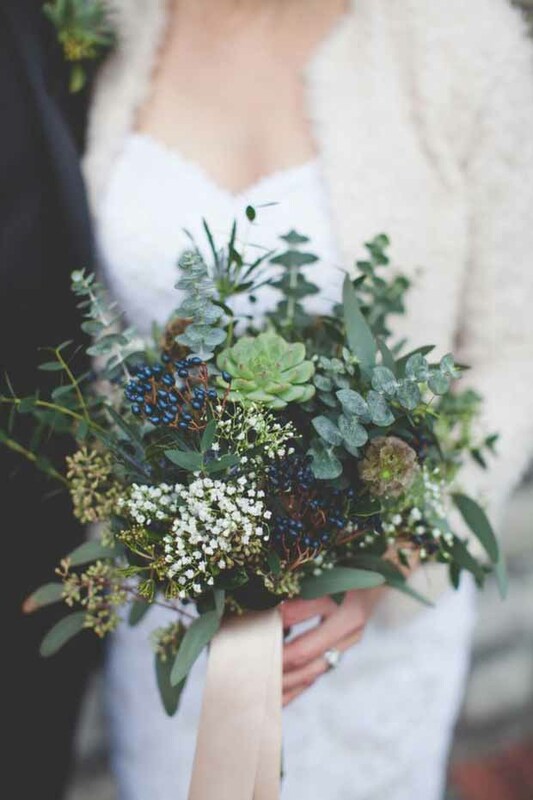 For your rustic winter wedding bouquet think non flower bouquets featuring berries, succulents, baby’s breath and eucalyptus leaves. 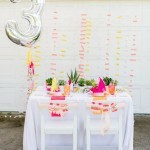 This one looks gorgeous with it’s elegant champagne ribbon. 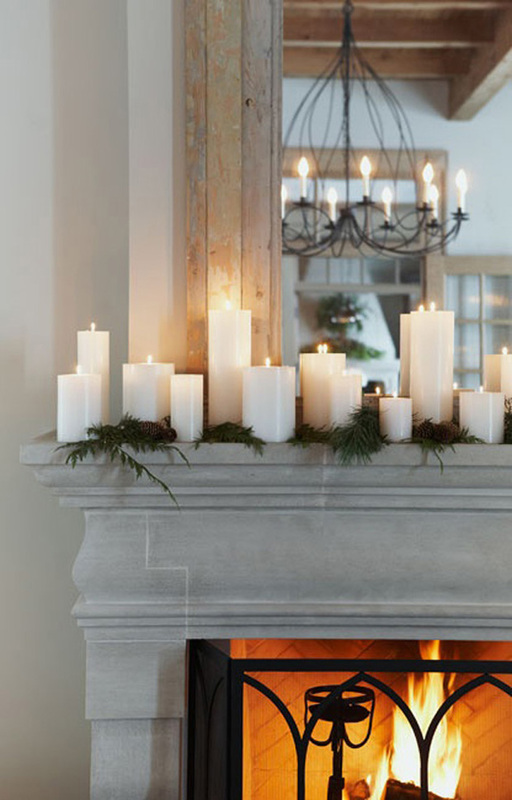 Of course, no winter wedding would be complete without lots of ambient wedding candles! 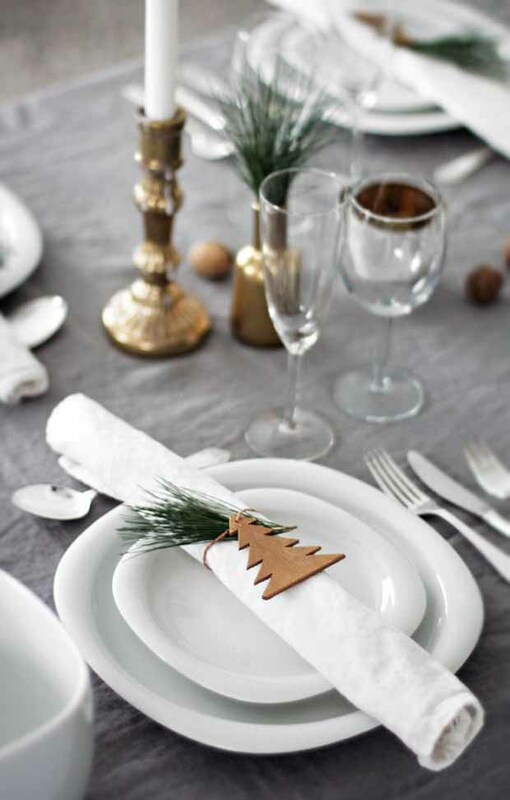 And how sweet is this wooden Christmas tree table dec / winter wedding favour? 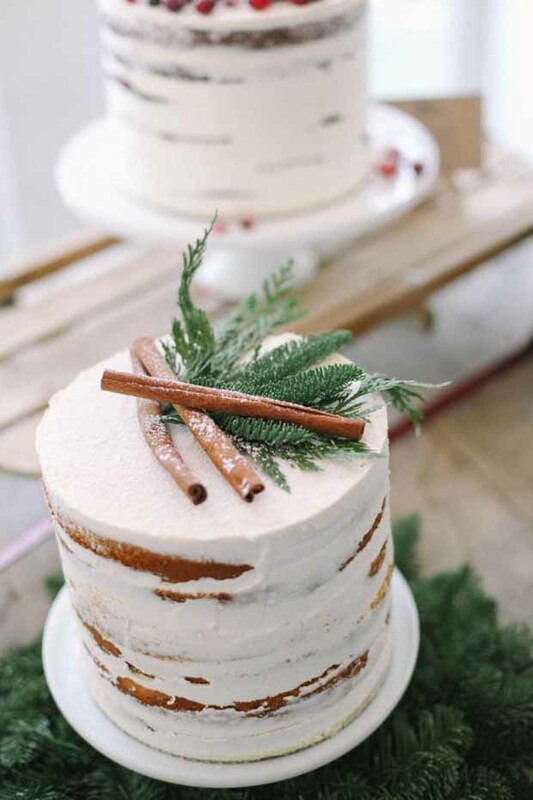 The perfect rustic winter wedding cake? A simple naked wedding cake with rough icing. 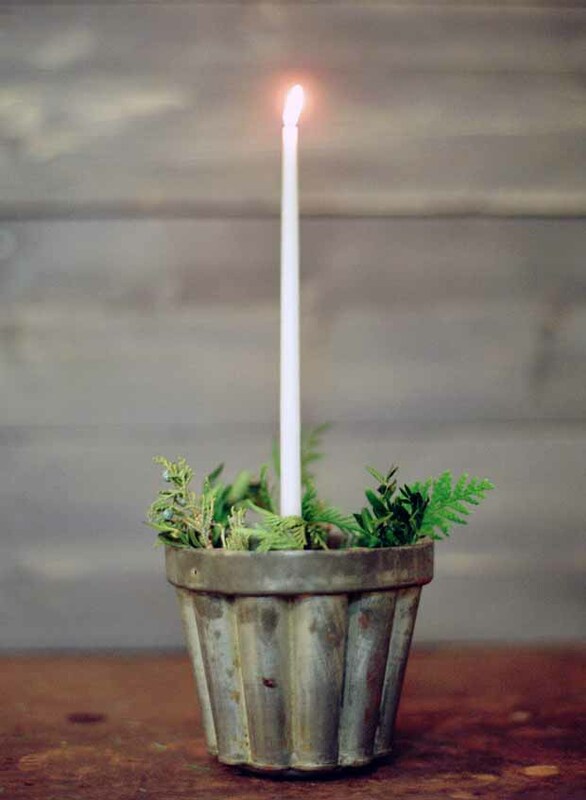 Decorate with sprigs of nordic fern and finish with fragrant [and totally Christmassy] cinnamon sticks. And for your own rustic winter wedding bridal style? How about an organic style wedding crown simply made from winter foliage? Beautiful. 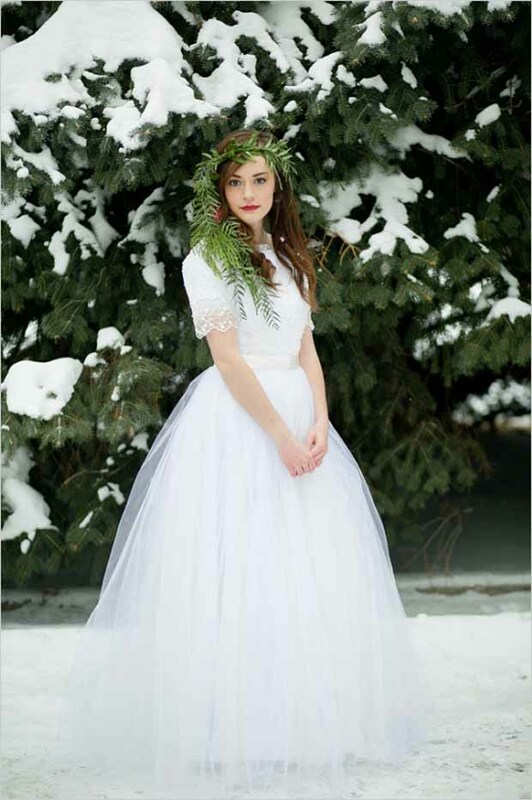 Wear your organic crown with a princess worthy white wedding dress and perhaps a warm and winter wedding cover up? Are you planning a winter wedding? Why not share your ideas here for other winter brides to be…. Ooops nearly forgot… missed anything from last week. Here are those links.. The cinnamon sticks on top of the cake makes you warm just looking at it. I bet it tastes even better than it looks! Oooh I love this! All the deep forest greens against the frosty white – festive perfection!